You don't often need a lot of space to do your own correspondence - but you still want a fixed place for it. 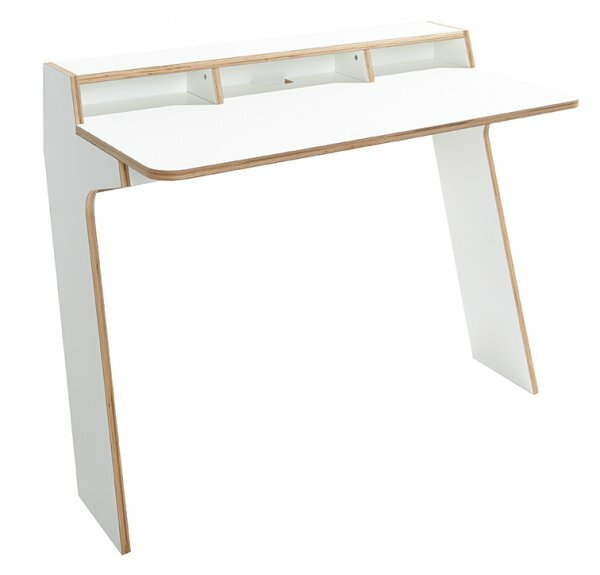 The SLOPE wall secretary leans loosely against the wall and convinces with its functionality in the smallest of spaces. The top shelf and the compartments underneath offer plenty of space for picture frames, books and office equipment. Cables and electronic accessories can be stored in the middle compartment. There is an opening through which the cables can be routed to the additional, lower storage plate. External hard disks, power supply units and connector strips can also be conveniently and safely placed here. If additional storage space is required, you can add the appropriate rolling container.